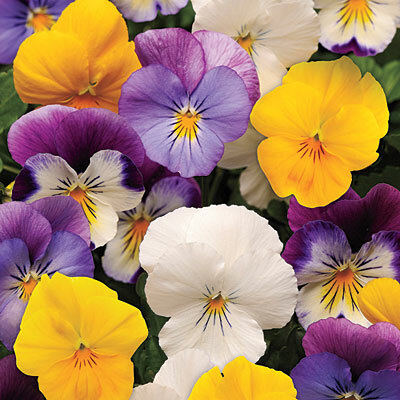 These TRAILING PANSIES are a “must have” for anyone with even the slightest attraction to pansies. 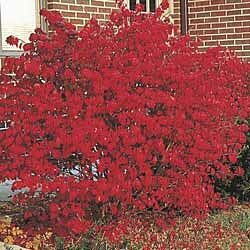 They survive very cold temps, they trail, and they bloom from Fall to Spring. They also are an ideal choice in a setting where uniformity is important.. And these hybrids are trialing, which makes them perfect for hanging baskets and containers. The colors will make you smile from ear to ear — a great way to celebrate Spring and Summer . 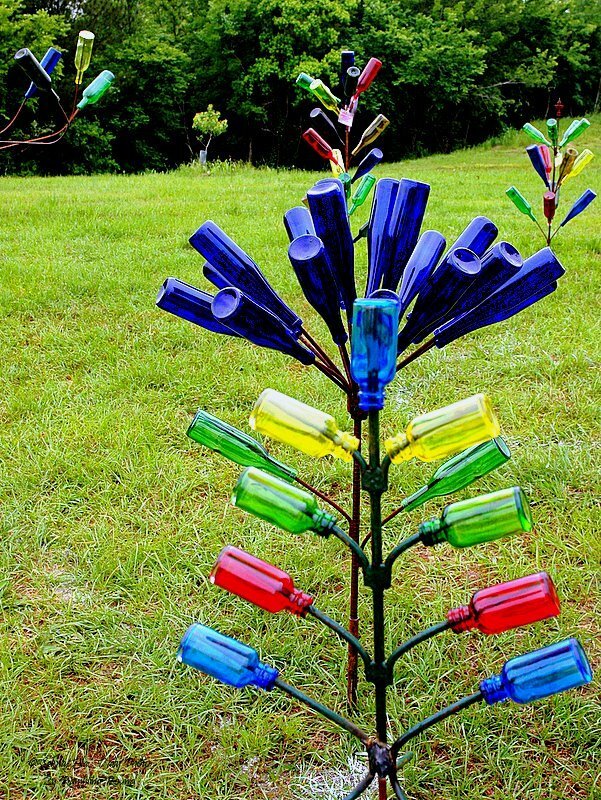 Garden accents say much about the gardener, and they can make or break a garden space. Finding the right garden ornament can be a difficult task. 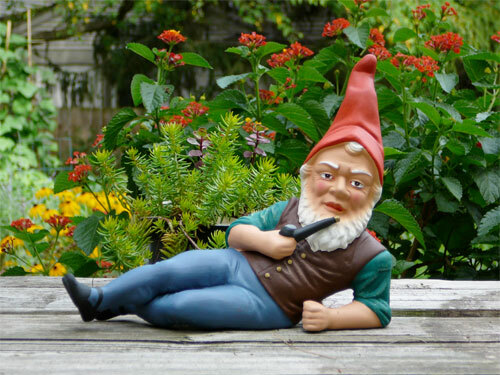 We’ve all visited our share of gardens that would inspire us more if it weren’t for those gnomes! Religious statues, bottle trees, stones with inspirationsal phrases, and even garden gates; so many ideas to choose from, and not all choices blend as well into a landscape as others. I have a Chinese pagoda, similar in structure to the Sui dynasty 7th century Four Gates Pagoda, and a large hand carved Buddha head which I think add strong stone elements to my garden space. But that may not be where you will find your inspiration — there are so many choices! Bottom line, everyone has different ideas and motivations when it comes to garden accents, which is what makes visiting a friend’s garden space so much fun. There are so many advantages to using recycled materials when creating a stone/hardscape garden project. For the environment and your wallet! We use recycled materials, such as concrete for paving systems, recycled glass in stepping stones, and crushed recycled stone and granite for patio surfaces whenever possible. It’s a great “green” step to take while creating your special garden space. An added benefit to using recycled materials? 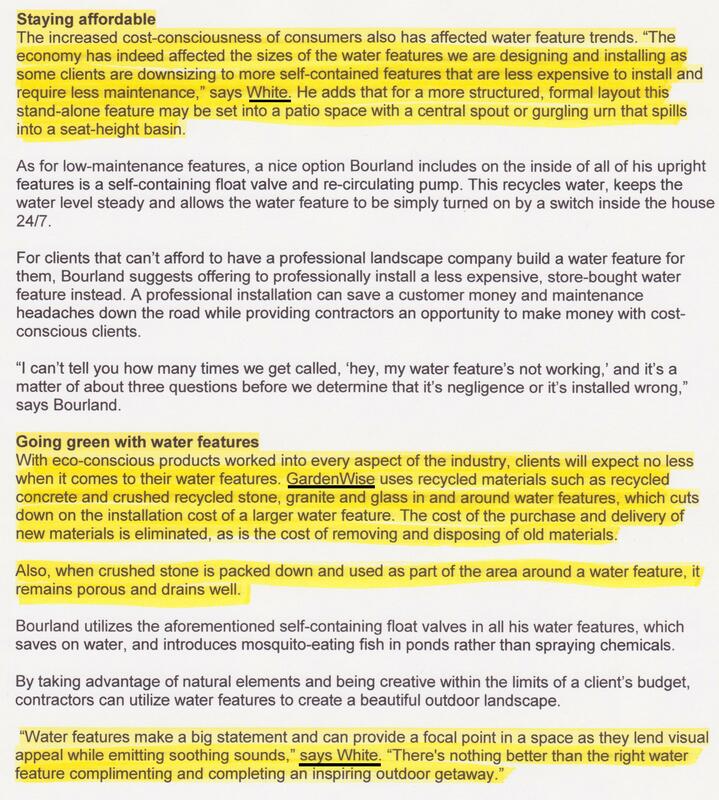 The savings on the installation of a landscape design. If I can incorporate larger pieces of old concrete into a design, the purchase and delivery of new materials is eliminated. Also eliminated? The cost of removing and disposing of old materials. If you think that you can’t afford to install your next hardscape project, ask about incorporating recycled materials into your design. The savings may just be enough for you to go ahead and create the garden space you desire. Just in time for spring and summer. I want to build a new garden shed in my backyard this summer. This is an idea I had last summer and it never happened, so I’m moving it to the top of the “to do” list for this year. Most homeowners will agree, there’s no such thing as enough storage space. There’s a limit, after all, to the things you can stash in your basement and garage. What I really need is a garden shed – one large enough to house a pretty big arsenal of outdoor power tools while providing organized space for everything from rakes and shovels to mulch and fertalizer. All of my outside spaces are landscaped, so it will have to be in a somewhat visible area to the left of my water feature, above, one of the main focal points in my garden. 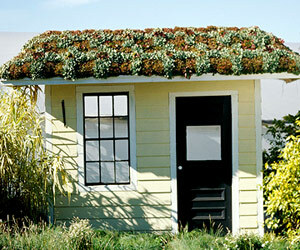 I had an earlier thought of creating a shed with a “green” roof, and when I came across this wonderful green garden shed on BHG.com , right, photo credit to Better Homes & Gardens, it pretty much made me realize I was thinking in the right direction. Thanks, BHG, for giving me the inspiration when I needed it most! 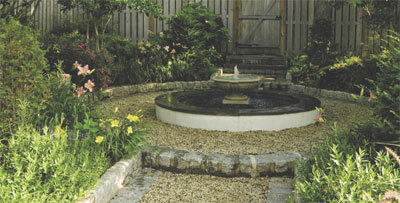 It’s the second day of spring, and I’m thinking about water features! 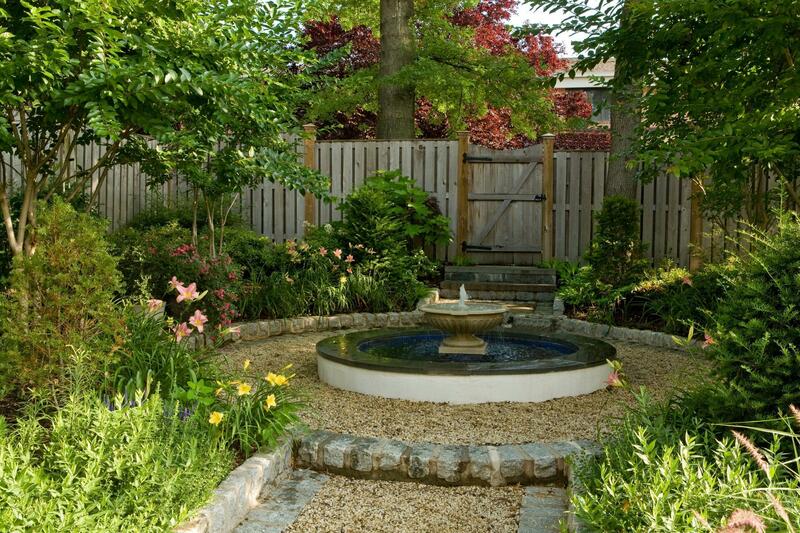 There’s nothing more inspiring than a well designed water feature blended into the natural environment to transform your garden into a destination. 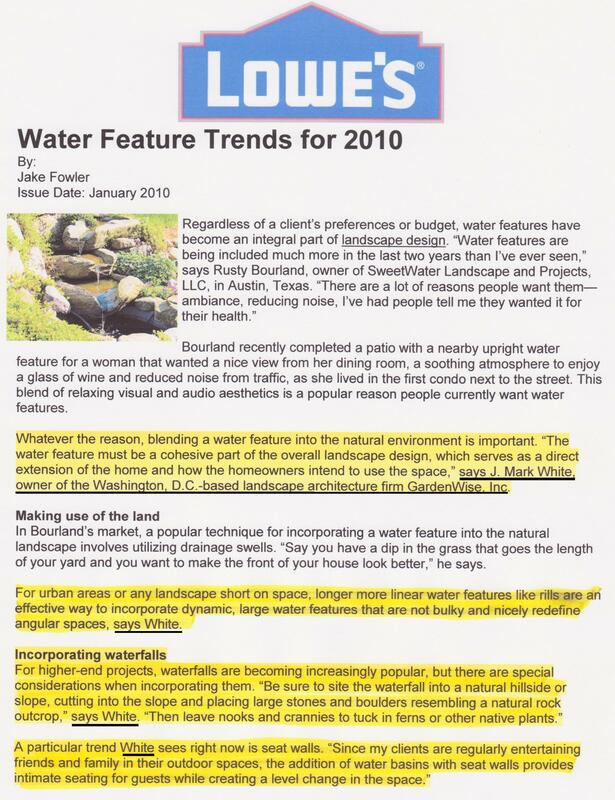 Let’s revisit an informative LOWE’s story by Jake Fowler from last year on water feature – water fountain trends that continue with full force into 2011.